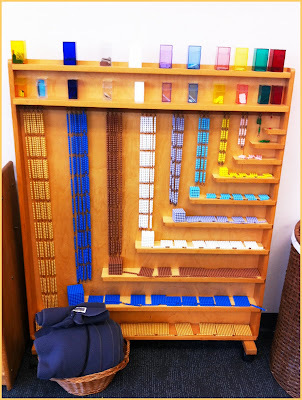 (Dr. Montessori developed unique materials to teach math and other subjects. These bead "chains" help young students master math concepts. How successful, from your experience, are children who leave Montessori environments and transition to traditional education environments? Most children who have completed a three year Montessori program, and many who have completed two years, and do not seem to have any specific learning disability, have placed at, but usually above grade level in math and reading when they transition to a traditional school environment. 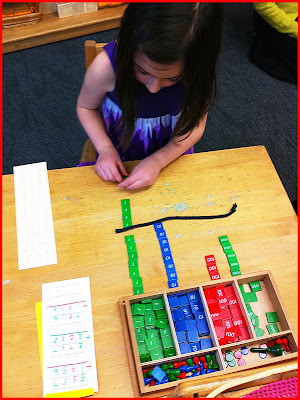 Are all Montessori schools created equally? No, schools are individually owned and can be each run differently. 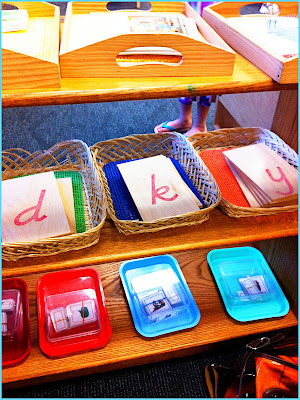 However Montessori schools that are affiliated with the American Montessori Society (AMS) or the Association Montessori Internationale (AMI) need to adhere to key Montessori principles. 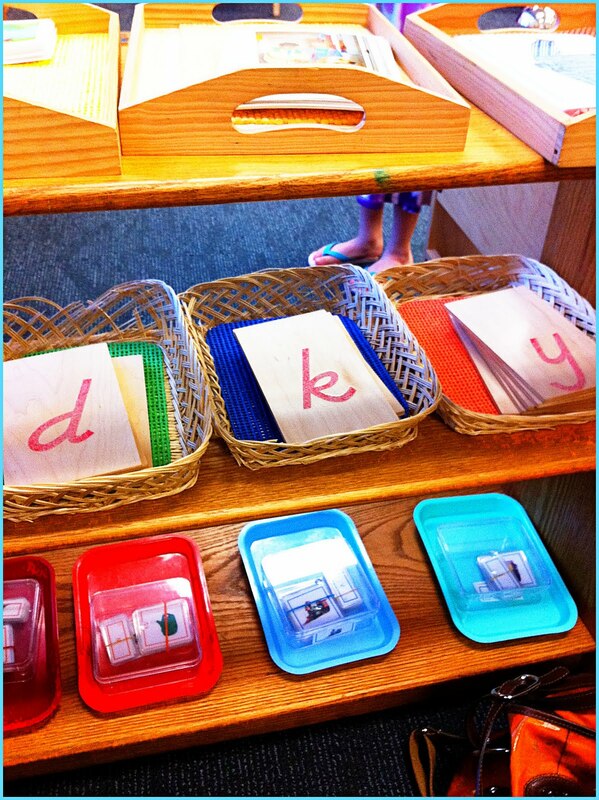 How do you become a Montessori teacher? A person must have a 4-year college degree and then complete Montessori training that can vary from 1-2 years and requires a classroom internship. There are master degree programs in Montessori education, like that at Loyola College, and advanced certification programs like that at the Barrie School. There are some online programs as well, however, do make sure they are affiliated with AMS or AMI. What longitudinal research or data do you have/know about the success of Montessori education? In a 2005 study, middle school students in Montessori schools showed greater intrinsic motivation, potency (aka: energy), interest and flow experience compared to middle school students in traditional school settings. In this 2006 study, five year olds who attended an inner-city Montessori school out-performed their public school counterparts in areas such as standardized testing for reading and math, social cognition and executive control, and displayed more positive interactions on the playground. Additionally, the researchers noted the Montessori students showed more concern for fairness and justice. By the end of their elementary schooling, the Montessori students showed gains in many other areas, such as creative writing and having a greater sense of community within their school. How can traditional educators embrace Montessori education in their traditional classrooms and schools? Could you offer five tips? 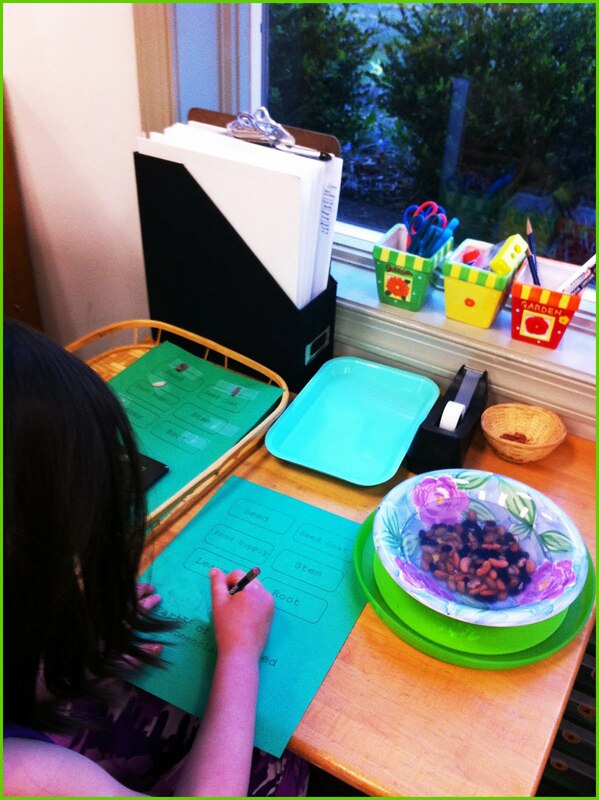 Observe the child – Is the child engaged in what they are learning? Are they too challenged? Do they need more challenge? Paperwork (aka: worksheets) for ages 3 and 4 year olds are often a waste of trees. Respect for each other is best taught by teachers who model it. Ms. J and Ms. Z's Montessori analogy: A child is like the seed that has within him/her a beautiful plant waiting to bloom. The classroom is like the flower pot. It needs to be the right size and have good drainage. 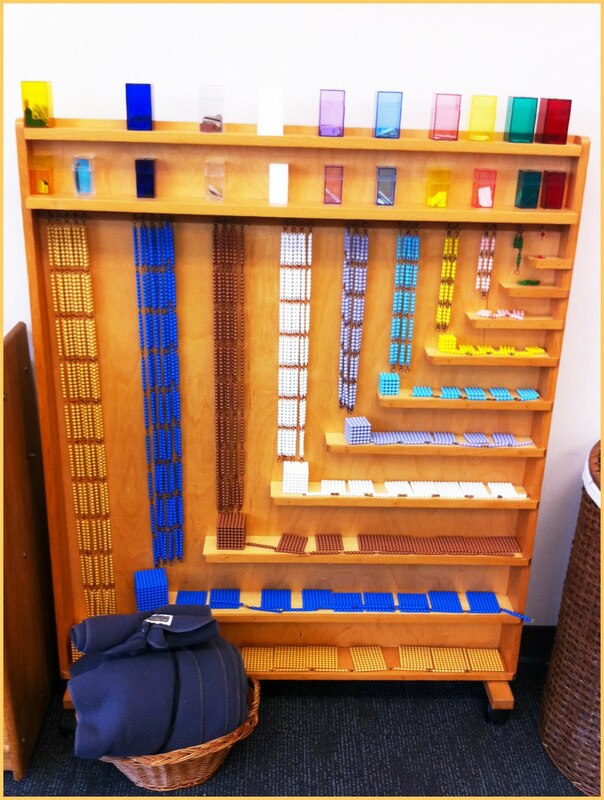 The Montessori materials are like the rich soil. The importance of learning and knowledge is as important as sunlight is for a plant. The teacher provides “watering” when needed, observing sensitive periods in the child. And in the end, Montessori education does just that. It provides a nurturing environment, built on time-tested ideals, without gimmicks, iTouches or one-size-fits-all curriculums. No wonder little O is so happy learning in one. Thank you tremendously, Ms. J and Ms. Z.